An appeal has shattered the secrecy around suspensions of Mac faculty, as five professors go to court to ask for a judicial review. Five suspended McMaster University business professors are going to court to overturn a tribunal’s decision that effectively ended at least three of their academic careers. In doing that, they’ve torn aside the veil of secrecy covering their identities and the specific allegations the university ruled had “poisoned” the working environment inside the Michael G. DeGroote School of Business. Professors Chris Bart, Wayne Taylor, George Steiner, Devashish Pujari and Sourav Ray were suspended by McMaster almost one year ago after a lengthy tribunal hearing ruled they harassed other faculty in an effort to oust Dean Paul Bates. Participants in the hearing were required to sign promises to keep all details of the process secret and all of its sessions were closed. Later the university released a censored version of the decision that did not name the faculty suspended, the professors who complained of harassment or what specific actions were sanctioned with which penalties. For Jim Turk, former executive director of the Canadian Association of University Teachers, that’s a process so fatally flawed the only just response is to overturn the entire decision. In addition, none of the three academics on the panel had any training in law and the process allowed no right of appeal, leaving an application for judicial review as the only available response. Turk added that even if allegations against the men are true, the penalties imposed by the tribunal are “unprecedented” and effectively end the careers of Bart, Taylor and Steiner in addition to costing them each up to $500,000 in lost salary and benefits. CAUT is covering the legal costs of the appeal. McMaster spokesperson Andrea Farquhar defended the tribunal and its process as one that’s clearly defined in university policies. 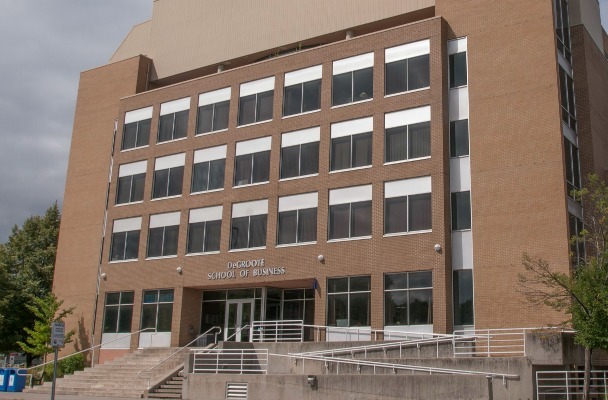 She added that in an effort to ensure the accused professors’ rights were protected, the university covered “significant portions” of their legal costs for the tribunal hearing. The university alleged the five men participated in a lengthy and bitter campaign to deny Bates a second five-year term as dean of the school. While that may have been their right, McMaster alleged the tactics they used amounted to harassment. Those included trying to block the promotions of Bates supporters and undercutting their work through constant, unjustified criticism. Victims of those attacks said they suffered ill health and other effects. “The tribunal finds we cannot guarantee that the workplace issues can be corrected without the suspension of Dr. Steiner, Dr. Bart, Dr. Taylor. Dr. Pujari and Dr. Ray for periods of time, which will allow for the establishment of a healthy workplace at (DeGroote),” the tribunal concluded. Bart, Taylor and Steiner were each suspended for three years, Pujari for one year and Ray for one academic term. Another faculty member, Joe Rose, had a formal reprimand placed on his personnel file for five years. In addition, all six were ordered to take sensitivity training before returning to work, removed from all positions of authority at DeGroote and barred from any such positions for five years after they return. Turk said his personal guess is the case will not come to a hearing before next spring or summer.